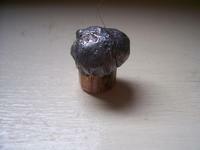 Customer from KS took this doe with his custom .44 Special. 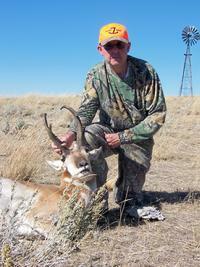 This is me with antelope taken in WY in Oct. 07. 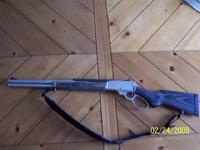 I shot this with a custom Ruger 77 stainless with octagon to round barrel chambered in .280 Remington. I also took a large 8 pt. whitetail with the same gun on the trip. 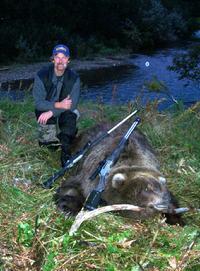 D.H. of Alaska sent me this photo of a Grizzly taken with an 1895 Marlin XLR I customized for him. 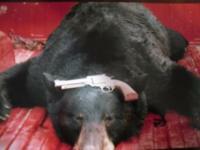 He stated in the email that it took 2 shots from the client and 2 from the Marlin to put the bear down just before it got to the bushes. 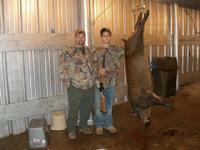 Two lucky hunters from KY used one of my custom Marlin 1895 .45/70's to take this nice hog. 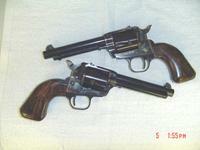 Matched pair of 5 shot .32-20's built on OM Single Six's built for a customer in NE. These have all the bells and whistles. Customer from UT shown with nice mule deer taken with one shot at 200 yds. 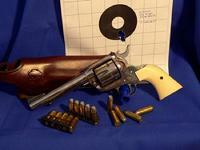 using his .348 DC Marlin 1895. 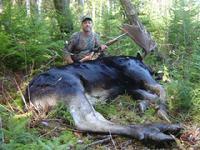 This is the first confirmed kill with the new cartridge to date. Some nice Alabama crappie my wife and I caught in April 09. Photo courtesy of a customer in AZ. Nice javelinas. Another kill for the .348 DC courtesy of a fellow from UT. Congratulations to my wife. She took her 1st deer this morning, 11-30-12, using a 6.8 SPC II AR-15 I built. She did it all without my help, except for the dragging. 1970 vintage Belgium made Browning T-Bolt still gets the job done. Nice catch of Alabama stripers caught summer 2015 by me and my wife. Another days catch from summer 2015.